Obesity, diabetes, and cancer are out of control in America. Sadly, the rates for these diseases continue to skyrocket. Our nation is in a state of crisis concerning the health of its citizens. Typically, the medical approach to these health problems simply focuses on the disease and symptoms. It disregards the underlying factors that may be causing the crisis altogether. According to the 2010 Dietary Guidelines for Americans, solid fats and added sugars should account for no more than 5-15% of their caloric intake. Currently, Americans are consuming an average of 800 calories per day of solid fats and added sugars. That is over 35% of our overall diet! It is recommended that no more than 8 teaspoons per day of added sugar, based on a 2,000 calorie per day diet, should be consumed. That means to stay in a healthy range, a person should not have more than 32 grams of added sugar per day. This is especially true if you’re already overweight, are trying to lose weight, or already have blood sugar problems. It’s also important to realize that there are different types of sugar and they are hidden everywhere. Most people recognize the sugar in cookies, candies, and soda; yet, often fail to realize the amount hidden in the carbohydrates consumed each day. Unfortunately, even the obvious sugars that should be avoided are not. Soda and energy drinks account for over 35% of American’s added sugars. All of the beverages mentioned about exceed the recommended total daily sugar intake – and that’s before consuming any other drinks, bread, pasta or potatoes. Now please understand something. 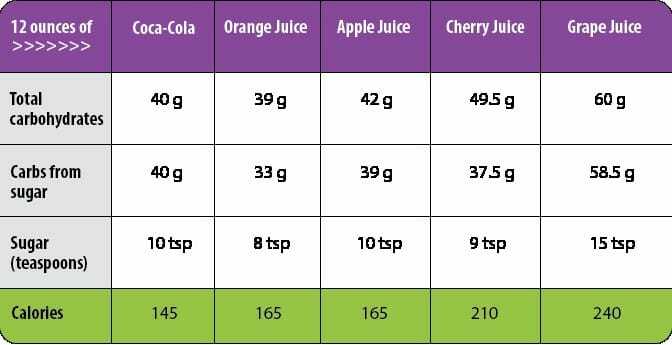 Just because Coke has less sugar and calories than some of the juices, it should never be an excuse to drink it. Also, be reminded that most of the “sugar-free” and/or diet sodas have the artificial sweeteners, which are deadly and should be avoided. Refined, processed carbohydrates are very dangerous and you should always try to avoid them. Try not to eat white bread, white pasta, white potatoes, or white rice. These types of foods are VERY high in what’s called glycemic and will cause your blood sugar to spike, which then causes your pancreas to work very hard to produce insulin to help regulate your blood sugar. Because they cause a spike your blood sugar, these foods will typically make you hungry again much quicker. If you are looking to lose weight safely, schedule a FREE consultation with our team at Dr. Urshan Health and Weight Loss Center today.